I've had something on my mind for a couple of weeks, and yesterday, I decided to do it. After two months of intuitive eating, I'm going back to doing Weight Watchers and counting points. Intuitive eating was going really well for about six weeks, and then I'm not sure what happened. I wasn't binge eating, but I was definitely eating when I wasn't hungry, and I was eating too much. I was very aware of it, but I had such a hard time stopping it! My weight didn't change by more than a couple of pounds, so I'm no worse off than I was two months ago. And I'm actually really glad that I did the intuitive eating experiment, because I learned quite a bit about my body, which I think will help regardless of what I do to lose/maintain my weight. One of the hardest things about intuitive eating was drinking--and I don't mean just alcohol. Fluids don't fill me up, so drinking juice, soda, milk, coffee drinks, or alcohol was really just leading to a lot of extra calories without satisfying my hunger. I'm sure there is an answer for this, but drinks weren't really addressed in the book I read, so I never really figured it out. 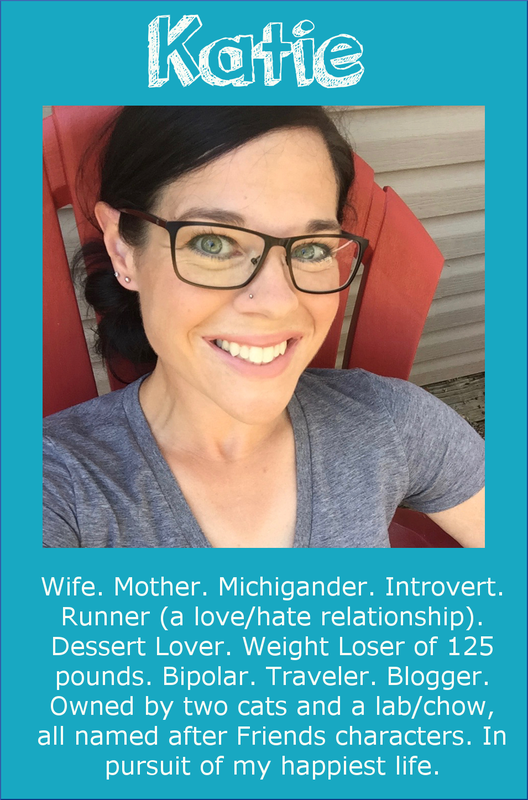 The main purpose for switching back to Weight Watchers really stems from my desire to get back to being in my best running shape. As I wrote in my "new size" post, and my "bikini" post, I am okay with how I look now--I don't think I look bad at this size, even though it's not ideal, and I could be happy staying this size. But... I really want to set some challenging running goals, and I run my best when I'm 130-135 pounds. This was all brought on when I was reading a post I wrote, and then clicked on the "You might also like:" posts. Seeing some of the posts from early to mid-2013 made me feel a little nostalgic for Weight Watchers and reaching for PR's. It was fun to see myself getting faster every week, and I was over the moon when I reached my sub-2:00 half-marathon goal. 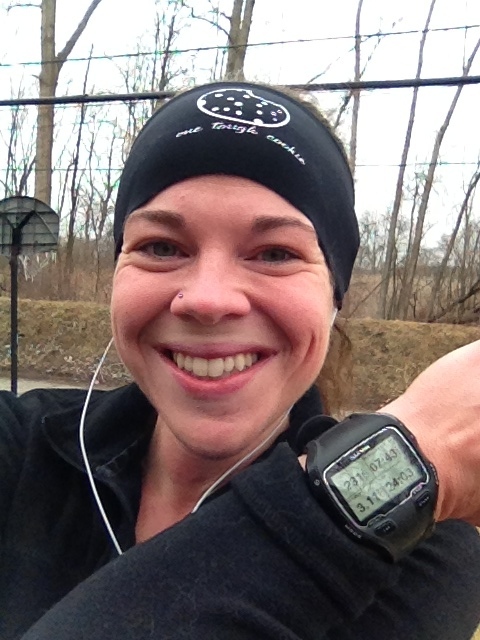 The day I ran a sub-50:00 10K? I can't even describe how that felt. Lately, I've been much more accepting of where I am today, at this moment, and I'm glad for that. I didn't want to spend my time being miserable until I was back at my goal weight. But when I looked and felt my best, I was following Weight Watchers and running five days a week. I had some running goals that I was always working on. This year has been different in so many ways. All goals were tossed aside when Mark was sick, and that was understandable. But once he passed away, I wish I'd gotten back to counting points and working on running goals. I had this attitude that life was short, so I might as well not "waste" my time or energy counting points. Mark's illness and death was the most difficult emotional thing I've gone through since losing the weight a few years ago, and I had no idea how to handle it (considering I'm an emotional eater). I wanted to have fun, and not worry about weight or calories or any of that. Just after Mark died. Paced Audrey to 2:14 half-marathon. I'm not sure what my weight was here, but I think 145-ish. Anyway, I am taking away a few things from intuitive eating that will be helpful as I do Weight Watchers: I realized that it doesn't take a very large portion to satisfy me--even just half a sandwich is a satisfying lunch. I realized that I don't crave sweets as much as I thought I did, so I'm not going to purposefully save up points to eat a high-point dessert. Instead, I'm going to spend a few extra points on "real" foods like butter, regular fat cheese, hearty bread, etc., because they taste so much better. I'm going to eat what sounds best to me, and not force the foods that don't sound good. I have a couple of spring races that I'm really looking forward to next year, and I would love to be in good great shape for them. 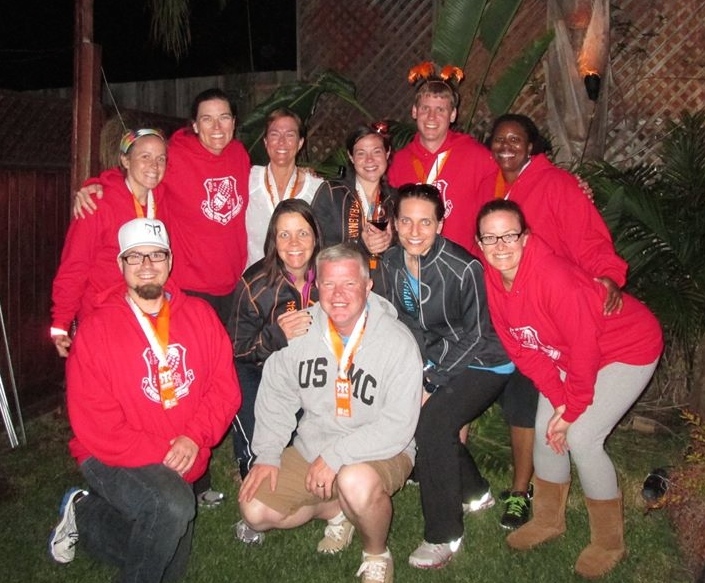 I already wrote about the reunion in May of my Ragnar SoCal team at the 500 Festival Mini Marathon in Indianapolis, which will be super exciting. Can't wait to see these people again! Yesterday, I registered for another race that looks like a blast--the Shamrock Run in PORTLAND! My goal for the Indy race is to get back below sub-2:00, and if all goes well during training, possibly a PR of sub-1:52:07. I'm going to use Hal Higdon's intermediate half-marathon training plan, which is what I loosely followed to become my fastest last year. I'm actually going to start that plan the week after the Runner's World Half & Festival in a couple of weeks. Coming up with my running goals and training plans has really made me excited to work hard on those again--including doing Weight Watchers. I was surprised to admit that I kind of missed counting points over the past couple of months, in some strange way. Intuitive eating was really freeing until it wasn't--I found myself always worried about getting back into old habits and gaining weight. 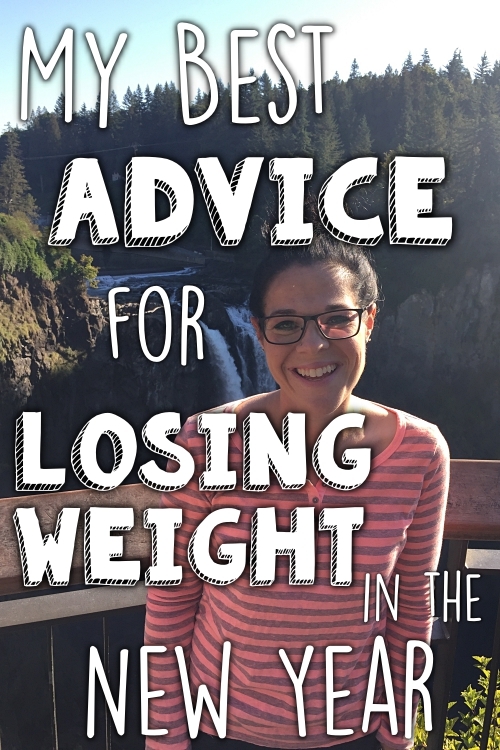 When I started intuitive eating, I had told myself that if it got to the point of being stressful, then I would go back to the old faithful--Weight Watchers. The past couple of weeks have definitely felt a little stressful in that regard. Jerry and I both went back to counting points yesterday, and I had a great day. It felt really nice to feel in control and to know that I'm doing my best to get back to my best running weight. I'm hoping to start updating more about my weight and how Weight Watchers is going. It's been so hard to talk/write about all this year, because it (obviously) wasn't going well for me. I know that I've always written about the good and the bad of weight loss/maintenance, but this year was the worst struggle I've dealt with so far, and I'm still trying to get back to the point of feeling confident that I can keep the weight off. Nothing motivates me more than looking at my running photos and posts from last year! So, to start off October...my goal this month (on top of doing Weight Watchers) is going to be to not have any Halloween candy until Halloween day. I did that a couple of years ago, and it worked out really well. I was able to stay on track all month, and then was rewarded when Eli gave me all his mini Butterfingers, haha (can you believe he didn't like Butterfingers?! Crazy kid). Love this post! Can relate so much! Will look forward to reading about your renewed running goals and journey to get there. This is such a great post, Katie. As a long time maintainer (23 years), I often go back to counting calories when my weight is up a bit (such as 5-10 lbs). I also love the idea of intuitive eating and try to eat what I want/what sounds good a lot of the time (i.e REAL butter, cheese, whole milk, delicious desserts, etc.) while also staying accountable to my fitness and calorie goals for the day. I have found that real food is much more satisfying, and that it is easier to track my food when I'm truly enjoying what I'm putting into my body. It does feel good to feel in control AND satisfies, and I trust you will do this as you have done everything else- with strength and determination! I seriously want to pee myself at the fact that you're doing the Shamrock here in Portland!! I was toying with signing up for it, so this is incentive. ;) Would love to meet you if I could. (I kind of sort of know Thomas through an old coworker). I love to see people get excited about their goals :) I am looking forward to watching your success continue to unfold. This is the perfect post for me today! I am 152 pounds as of this morning and I also just decided to starting counting again (calories for me, not points) after a few weeks of intuitive eating. I lost 120 lbs almost 2 years ago and haven't been able to consistently stay in my "happy weight range" which is also 130-135. I'm ready to get back to goal now, I'm tired of the yo-yo-ing cycle I've been in. Good luck with your October goals, I'll be following along with you! You're coming to my town for the Shamrock Run! I'll be there, lucky if I can run the entire 5k! I love seeing you set new goals! I'm in the same boat. Lifetime WWer that gained a bit back. I'm 155 aiming for 130. Lots of running goals... Like getting fast! And I'm just getting back to counting points. It will be fun to watch you do it at the same time. Count another Portlander excited that you're coming for the Shamrock Run!!! I think I will have to sign up now to join in the fun. :) Thanks for the motivation!!! Best wishes for your return to WW- I know you will be successful in reaching your goals. It's funny, reading this post and these comments, because I've also just rejoined WW after a hiatus where I tried eating clean but just ended up gaining weight. Sigh. I mean, as much as I rebel against it, WW is what works for me. I just can't stick with one thing for too long, I get bored, so switching things around helps. Anyway, good luck! I LOVED this post. 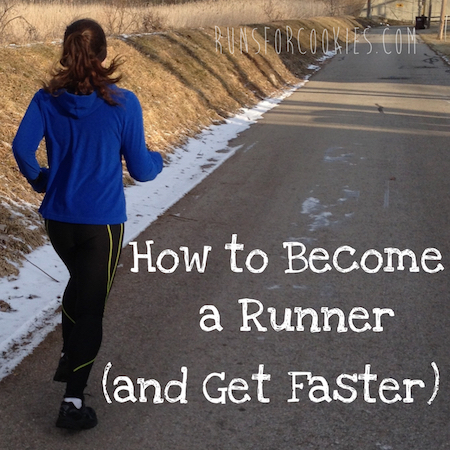 I started reading your blog a long time ago, I am not a runner but I secretly want to be. In January I started WW and I love reading your blog every day for motivation. You are and have been a true inspiration. I'm nervous about the maintenance phase, because I know it won't be perfect. 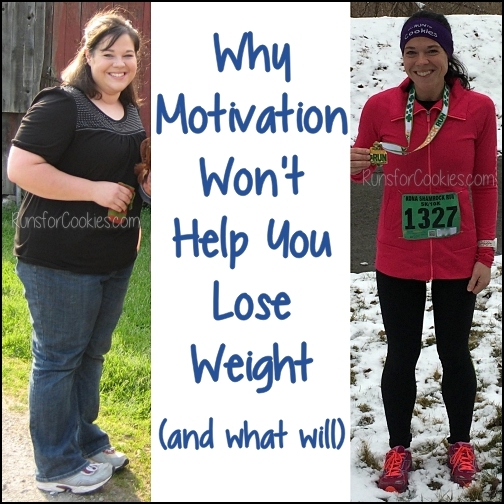 This post really resonated with me... about a year ago I started counting calories and running and lost 25 lbs. Then... I guess I got lazy. Kept running but made excuses for everything I put in my mouth, and of course my weight loss has stalled. I still need to lose 40-50 lbs, and this week decided to start counting calories seriously again. I also like to read your old posts about hitting your goals... they make me want to set challenging ones for myself so I can celebrate my accomplishments. I am so excited to read about your progress and hopefully I will have some over here too! Yay!! I so relate to this. I, too, just returned to self-monitoring my eating (by counting calories) after several years of "intuitive eating" that was clearly more driven by emotions and stress than intuition. I do hope that something I can be truly intuitive eater and leave the calorie counting behind, but for now that's not working out for me either. I hope to draw inspiration from your running progress. I have a goal to start running again but I'm just not there yet. Good luck! I think 15K is a great distance. I did one last Dec and I'm doing the same one this Dec because they are giving medals this year and I want it! :) Ha ha. I think it's great that you can take the lessons from intuitive eating and apply to weight watchers. It will be interesting to see what your food log looks like now without the stock pile of points for sweets. I wonder if it will work better/ faster for you without that? Another Portlander excited to hear your coming to town! 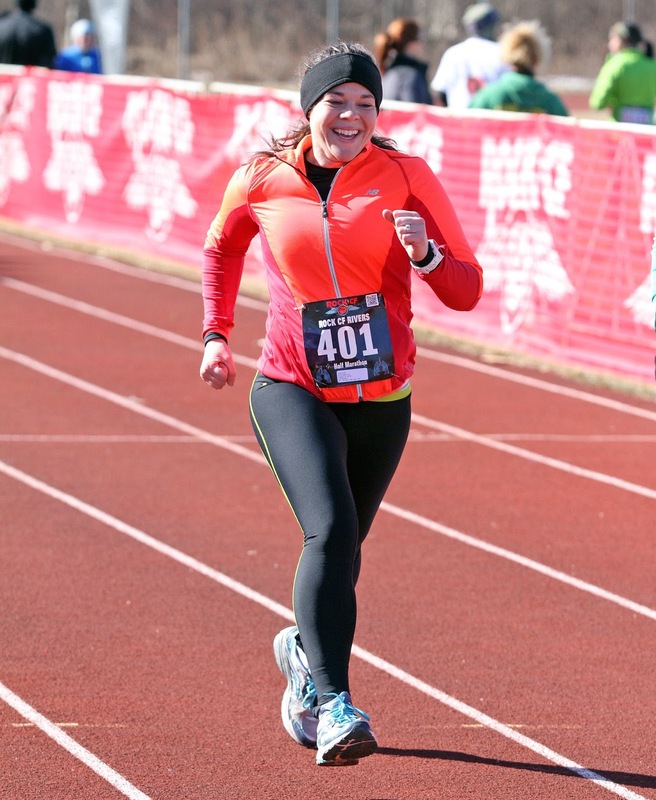 I find it hard to get myself out running during the chilly damp winters, so I probably won't be running the Shamrock, but it would be fun to have a meet-up! This is awesome - I started reading your blog less than a month ago, but I love it so much! I have poured over all of the old posts and FAQs and things. I'm a Portlander also - excited you will be coming to the Shamrock Run! I have never run it, but it's a very popular run (I signed up about 6 years ago, but ended up staying in bed and avoiding the rain... only time I have ever skipped a race!). Yay! You're coming to Portland, it sounds like a lot of us are exited! :) I've ran the Shamrock the last 5 years and did the 15k last year. It's hilly but so much fun! Good luck picking up WW again, it's the only thing that has ever worked for me because I didn't restrict everything, just practiced portion control. An awesome and timely post! I was the same, and dropped 40 pounds learning to run and control portions. I loved working with a goal. This year I was sidetracked by things good and bad. The good- my first full marathon. I gained weight in the training. Not much. But some. The bad, breast cancer and a mastectomy and recovery. I feel like I'm starting from scratch- just in terms of goal setting and all that. Going back to what worked like you said. Love your blog Katie!! Have you ever thought of doing whole30? It's like intuitive eating but more structured and you cannot have certain foods. It basically resets your body to burn fat instead of sugar. I don't even need snacks anymore! I eat 3 meals a day with a portion of protein, fat, and vegetables. No grains, no legumes, no sugar, no dairy and no alcohol. It sounds impossible but it's much easier than I imagined it would be! Read the book It Starts With Food and think about it. I think you would succeed! How exciting!!!! I hear that is a great race. I live about an hour south of Portland. and I have been struggling this past year with my weight and getting motivated to run again. I love your blog and look forward to it everyday! You may have just inspired me to also sign up for the shamrock run.. maybe Ill "run" into you. I always seem to go back to WW too. I just restarted back in August for the zillion the time. The program works, and this time I plan to stick with it for the long term. There are too many reasons why. I've realized when I'm not on WW I'm out of control. Even when eating healthy I still eat too much. WW is great for that. Good luck moving forward. You look great, here's hoping with WW you'll feel great again too. Yay, excited that you're coming to Portland...I ran the 5k Shamrock(very very slowly) last year and hope to see you there!! GREAT post Katie!! You are such an inspiration to me!! I have been struggling the past year, as well Katie. It all started, I just realized, a year ago when I got out a pumpkin candy dish and bought a bag of candy corn for it. I remembered all this when I got out the candy dish earlier this week. I would find myself grabbing a handful or two of candy corn, then buying another bag of candy after I had eaten it all. That seemed to open the gates for me, and I found myself slipping more and more through Thanksgiving and Christmas. Then, even after vowing to get back on track and lose the pounds I had gained at the New Year, I didn't do it. I finally joined a Diet Bet on June 21, and two more ofter that, and since then have lost 27 pounds. I'm under my goal weight again, and on my way back to 150 lbs., which is where I was for over two years. It is 10 pounds below my goal weight and I feel good there, safe, as if any scale fluctuation won't put me over my goal of 160 lbs. I think sometimes we need an outside influence to get us back on track. 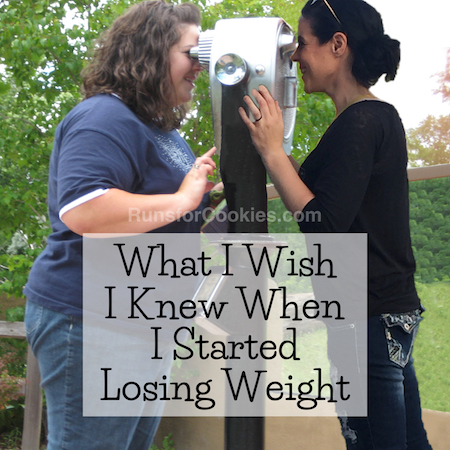 I have often thought about joining Weight Watchers, even though I have not used them during this weight loss, which was the most successful of my life. I just thought maybe it would get me started, if I was paying $$ every week and had that weigh-in to anticipate. The Diet Bet did the trick, this time, but I'm saving WW in my back pocket. This will be a struggle for us forever, and I'm not too proud to use anything available to help me stay close to that goal weight. Gaining my health and my freedom is far too valuable to risk losing! Good Luck to you Katie, and thanks for your honesty. I hope it helps to know there are others of us out here who struggle too, and maybe if we all share our stories, we will get back on track!? At least that is my hope! I missed this post! I am also near Portland! We do races in PDX every few months- one tomorrow! I am going to look into the Shamrock run too! My running buddy and I are still setting a goal in 2015, but I was already thinking about the Indy Mini for one, and my first 12k is in November, so a 15k shouldn't be too scary next March!! I'm so excited!!!! Oh Wow! I'll have to come cheer you on when you're in Portland! I know a number of people who do the Shamrock run every year and they LOVE it! Thank you for sharing all the ups and downs of weight maintenance. My weight has always yo-yoed because I would get discouraged when I wasn't loosing or if I went up just a couple of pounds. Then I would just give up and slowly put back on the weight. Hearing your story of how you lost all the weight and still struggle occasionally to maintain reminds me that it's an on going journey. 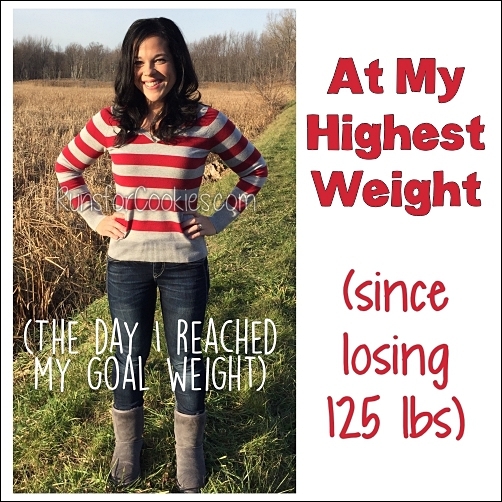 It may not always be easy once I hit a goal weight, but you show us that one just needs to adjust our mind set and get back on the bandwagon (in some way or another). Thank you for being honest about all your struggles. As a Portlander, I have to chime in and say how exciting it is to have you come out here. We don't have nearly as many frogs or fish flies, but I think you will like it.